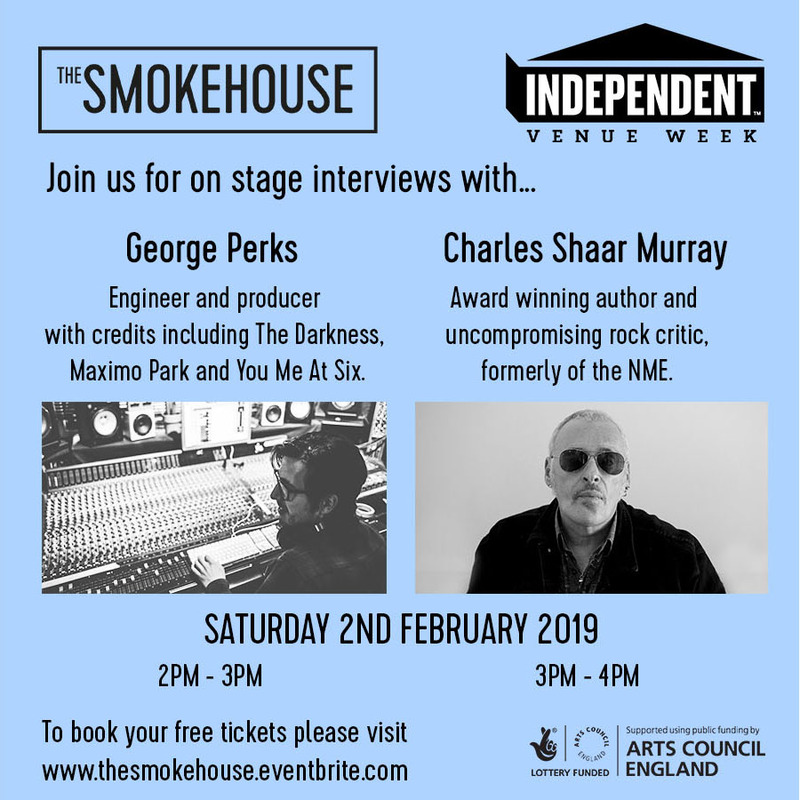 We're thrilled to announce a special afternoon of interviews with industry professionals George Perks and Charles Shaar Murray this Saturday 2nd Feb as part of Independent Venue Week! Tickets are VERY LIMITED and FREE so don't hang about! George Perks will be chatting about his career so far as a studio engineer, having started here at Punch Studios and gone on to work with Maximo Park, You Me At Six and The Darkness! Charles Shaar Murray joins us to share tales of Bowie, The Clash, Bob Marley and more, and chats about his career in 'journalism, criticism and vulgar abuse'.